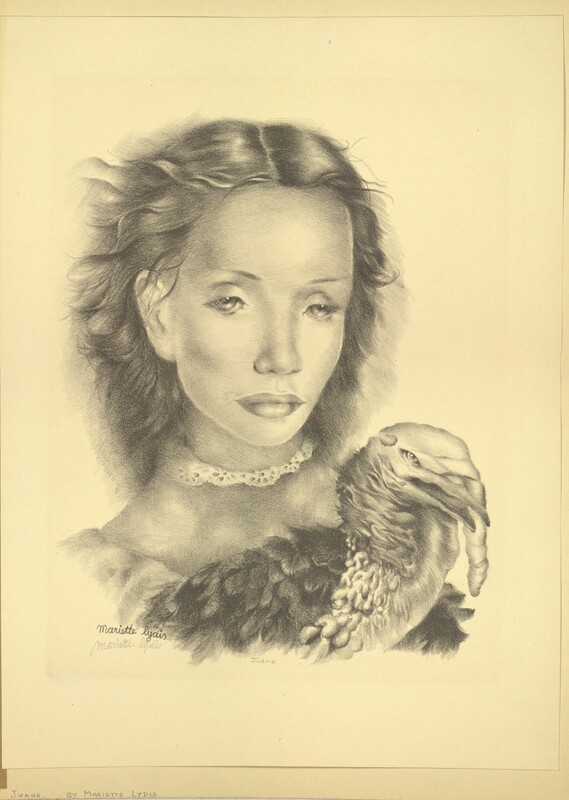 Lithograph titled "Juana" of a young woman with a turkey. Matted and unframed. 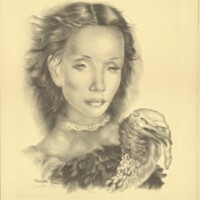 Artist’s signature in pencil at bottom left. Lydis, Mariette - Austrian, Born in Vienna in 1894, address in 1935 was Paris, France. 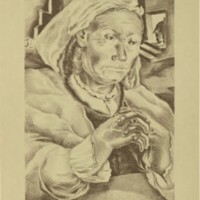 "Juana" = an original lithograph presented in a limited edition as a special publication of The Society of Print Connoisseurs, Alexandria, Virginia. 12 7/16" x 15 7/16"
Lydis, Mariette, “Juana,” Digital Exhibits, accessed April 23, 2019, https://cuexhibits.wrlc.org/items/show/54.